FREE $250 BET from BOVADA Sportsbook! | 100% Bonus upto $250 FREE at A+ GT Bets! NSAwins.com - The #1 Source for NFL Predictions, College Football Predictions, Vegas Betting Odds, USA Sportsbooks(Accepting US Players), and more! NSAwins.com: FOOTBALL SEASON PACKAGE SPECIALS FROM NSAWINS.COM: NFL & College Football Season Packages are now ON SALE from The LEGEND, Gerry "Big Cat" Andino, Lou Panelli, Steve "SCOOP" Kendall, and William E. Stockton..... New For ALL FOOTBALL SEASON CLIENTS: ALL Daily 25*-20*-10*-5* Picks, Parlay Picks and Late Breaking 25*-20* Plays available FREE via Text Message ..... Get signed up today with USA\'s #1 Sports Handicapping Company..... the legendary National Sports Advisors! 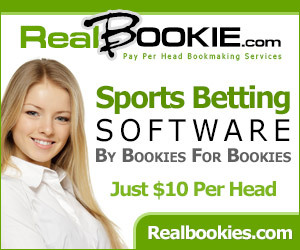 BET at the #1 Football Sportsbook: A+ GRADE Skybook - Get 175% FREE PLAY Bonus! FREE $250 BET from BOVADA Sportsbook!